“We. the Revolution” is a game we have been working on for quite some time now. It is a project we have poured our hearts into, and we are polishing it tirelessly to deliver the best, most exciting experience possible. Phantaruk has just launched this week and we are working on some minor issues reported by the community. This new update fixes a lot of things and brings even more updates to the game. Update 1.2.0 is live and we are just a week away from the release of Phantaruk! We are working hard so you could board the Purity-02 in Phantaruk on August 16th. Thanks for all the help, we really appreciate the feedback we’ve got from community and media! Check out Phantaruk on STEAM. Update 1.1.0 is live and we are a step closer to the release of our game Phantaruk. 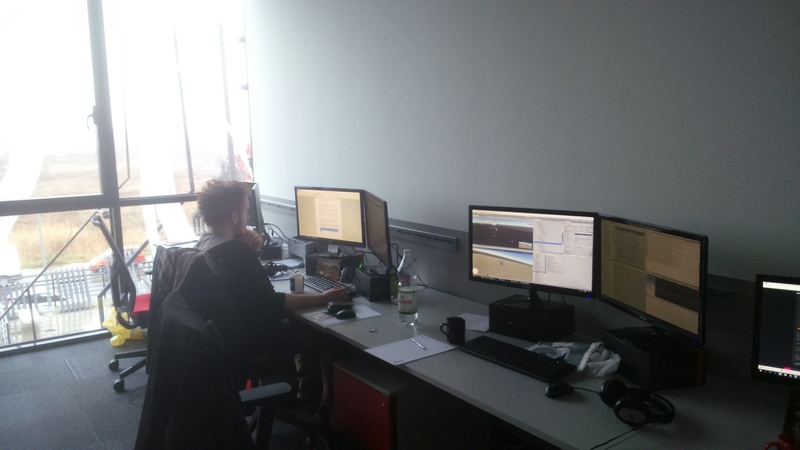 We are working hard on fixing bugs and adding new features. We want Phantaruk to be ready to meet you on Purity-02 on August 16th. Thanks for all the help, we really appreciate all the feedback we’ve got from community and media. Preview version of the game will receive this update tomorrow on 30th of July. -added slow-motion effects when using computers, scraps, textlogs, etc. It’s been quite a while since last information about the game Phantaruk which is right now being developed by Cracow Polyslash studio. Time to reveal next secrets related to this project. 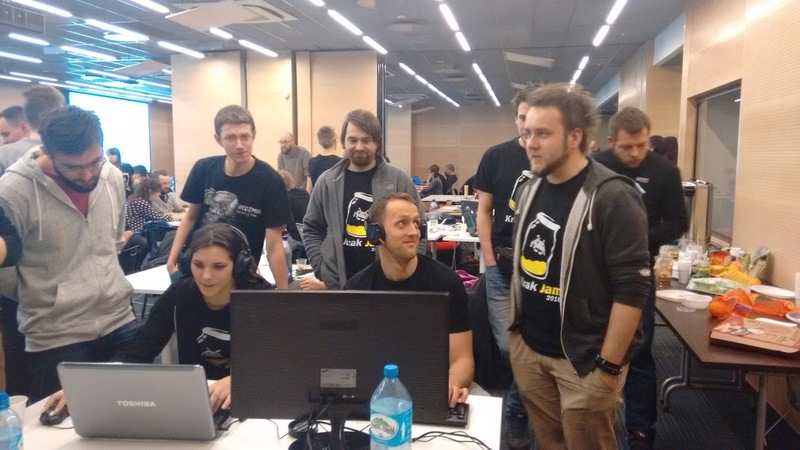 The closed beta-tests conducted by Polyslash revealed that the team had managed to achieve set objectives. 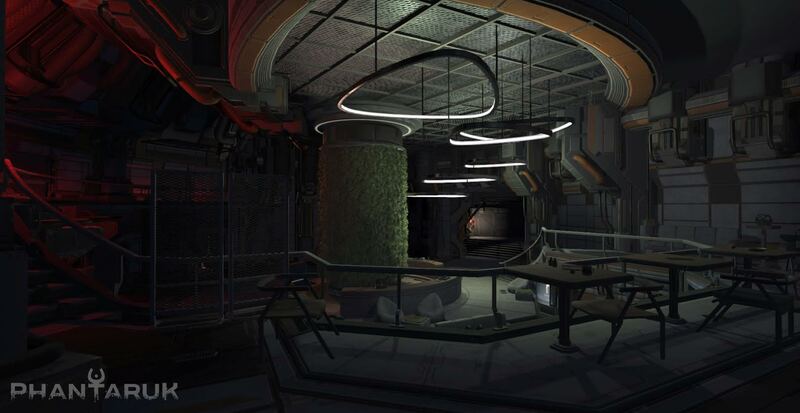 Game was sent to a group of selected players, and the project met with general praise especially for the well-created atmosphere of horror and great audio track, perfectly suited to the horror climate. Notes given also turned out quite high – the average for quality reached 7/10, for audio – 8/10 and the fear index has been evaluated by the testers for 8/10. 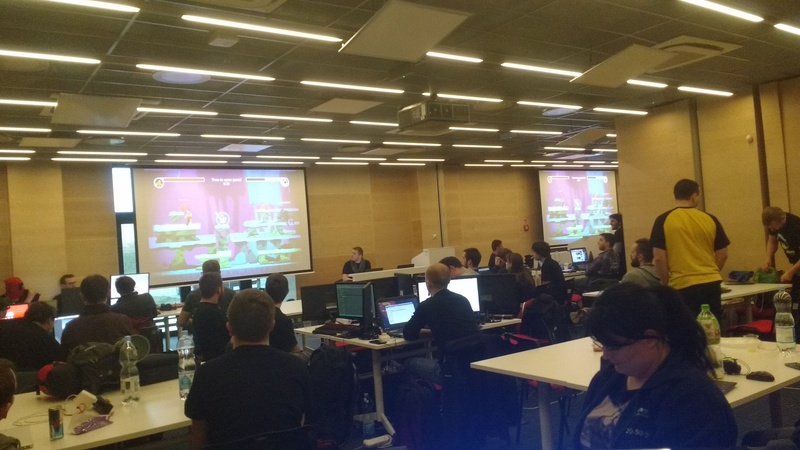 The players complained however about poor optimization and certain technical issues. Concurrently let us announce that the first public presentation of Phantaruk is coming. You will see the game on our stand during the Digital Dragons in Cracow (May 16-17th, 2016). It will be possible to meet its creators live and exchange opinions. You may also expect some other surprises! We’re waiting for you! Phantaruk is an FPP horror game. Action of the game takes place in the distant future. Humanity effectively introduces the achievements of the idea of transhumanism, a thought that aims to create a post­human, a being devoid of our biological weaknesses. Technology and homo sapiens become co­existing terms in one organism. The player lands on board the spaceship Purity­02, which is the cradle of research carried out in this field by H+ Corporation. The idyll ends when we realize that Purity­02 is an almost completely deserted, deadly trap. A mythical beast of the mysterious name Phantaruk roams the ship’s corridor. The monster has only one purpose – to kill everything in sight. Every wrong move may end in our death and we never know whether the mythical evil is lurking just around the corner. The situation is not helped by the fact that our hero is infected with a parasite, which causes increasing havoc in our body with every minute. Getting to know the mysteries of Purity­02 will allow the player to carry out his two primary tasks – to survive and escape from the ship. 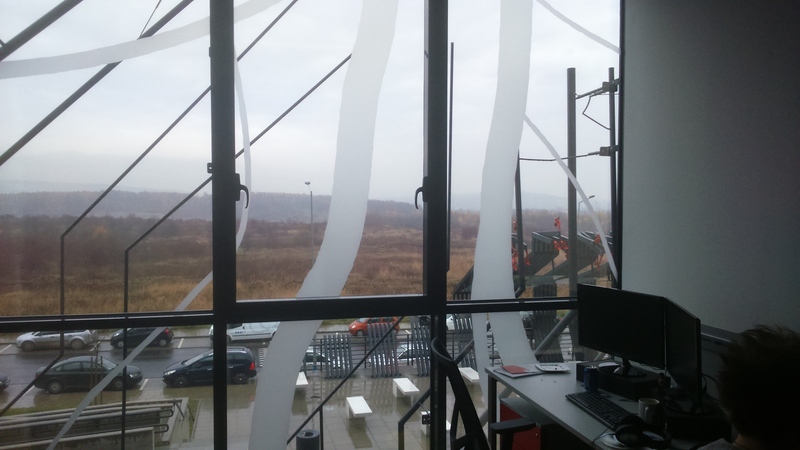 Polyslash is officially starting in the new office in “Małopolski Park Technologii Informacyjnej”, or shortly: MPTI. Although we moved in a few days ago, the whole crew met for the first time just today. Anyway, this is the end of teleworking and working after hours. Everything is in one place. Now we are on our own and we are making our own project full time. Polyslash is growing stronger so we consider this day as Day 1: the beginning of big changes and better standards. 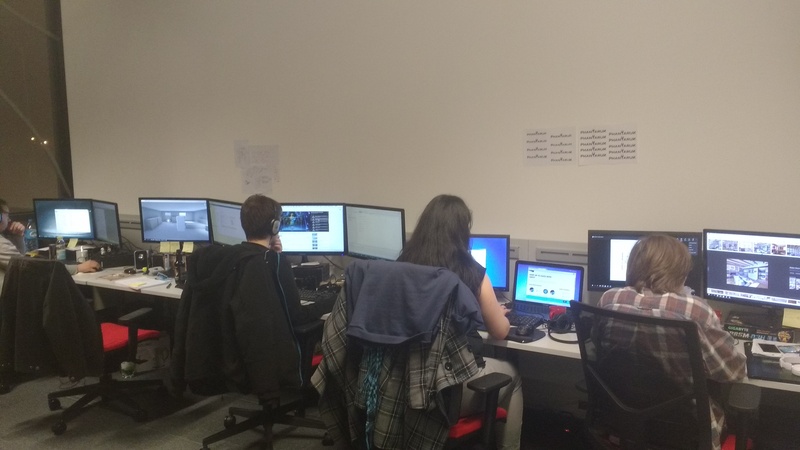 As you can see, the office is modern and pretty cosy. What’s more, we are slowly giving it a gamedev look with posters, figurines and some random gadgets. After all, we are going to sit there for some time. How much time? I can’t say yet, because I might say too much (and you would have to die) but, I promise, I will on some day in the future. It’s the time to speak about what we are doing here. Basically, we are making a survival horror game: ‘Phantaruk’ which was being created before as a small, indie project after hours by a few people. 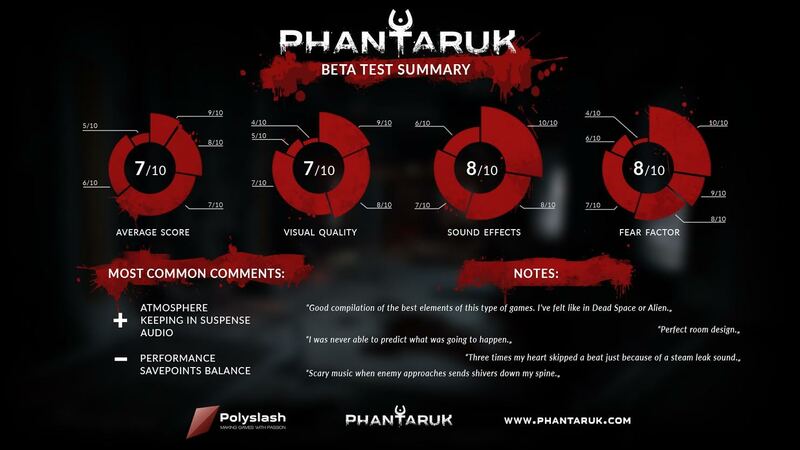 The situation now is different: the concept of the game won’t change but we want to upgrade ‘Phantaruk’ to create a horrifying experience for everyone. There are going to be about 9 persons working on the project but it will be covered in the next entry. For now I’ll write that we gathered a really positive crew with great skills. 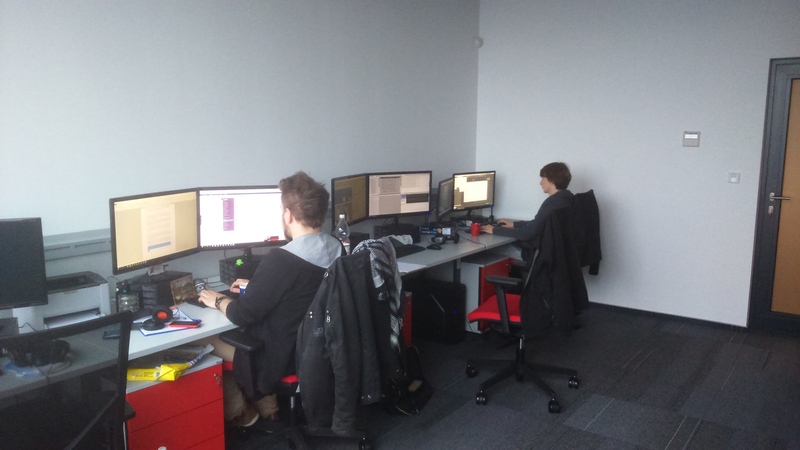 We are motivated, ready for hard work and we will do everything to make ‘Phantaruk’ a great, scary game. Today I’d like to tell you something about designing HUD for ‘Phantaruk’. Creating a working, immersive system is not an easy task, that’s why I hope our experience will help others to avoid unnecessary problems. “To learn from the mistakes of others”, as it is said. Our first approach to HUD mechanics was very simple – it had to be as much useful system as it can be, showing all available information so the player wouldn’t forget what is what. It soon turned out it didn’t worked exactly as we planned. On one hand, there was too much on the screen – icons covered much space and sometimes hid elements of levels. On the other, player’s couldn’t remember what the icons mean – even bringing an introduction screen with instruction didn’t work out because players just didn’t read it. This whole situation made us realize how important element GUD is. Up to that point we had treated it negligibly, almost ignoring it and player’s feedback changed our view of good game interface and its significance. In the end, it is something the player has contact with through the entire game. Second approach wasn’t fruitful, either. To be honest, we just focused on the look, not usability, and changed the layout. Of course, it improved readability (“Rem” was changed by an infection bar and “Heartbeat” – by an animated image) but still it covered too much screen and still didn’t show all necessary information. What’s more, there was much more focus on the HUD due to the animated elements. 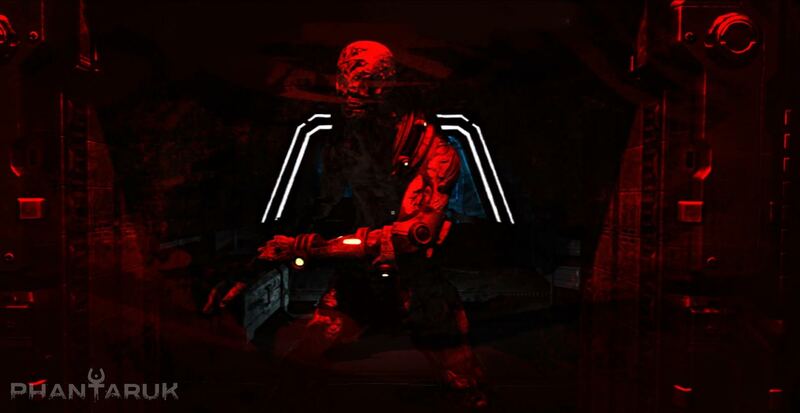 Therefore, we decided to change the approach and try making something more compact, somehow similar to what can be seen in ‘Dead Space’ and ‘Amnesia’ series. Having these ideas in mind, we implemented a medpad – a small computer on main character’s hand. It works in two modes: quick-view and inventory. The first one allows to check the heartbeat and intoxication; when right mouse button is pressed, main character raises his hand to show the display with the pulse and the infection level. Second mode is switched by using Tab/I key and turns a hologram on. There, the player has access to items, logs and list of objectives. At the moment, the medpad works great. Not only it merges brilliantly with the game but is also functional and useful. Although its screen is mocked up, it is not hard to understand how it works. Is there something left on the screen? Yes, there are two elements that can be seen in the game. The first one is stamina bar which appears when the player sprints (it disappears shortly after). The second is a crosshair – it changes if there is a possibility of interaction with an object (like pickupable object or usable mechanism). 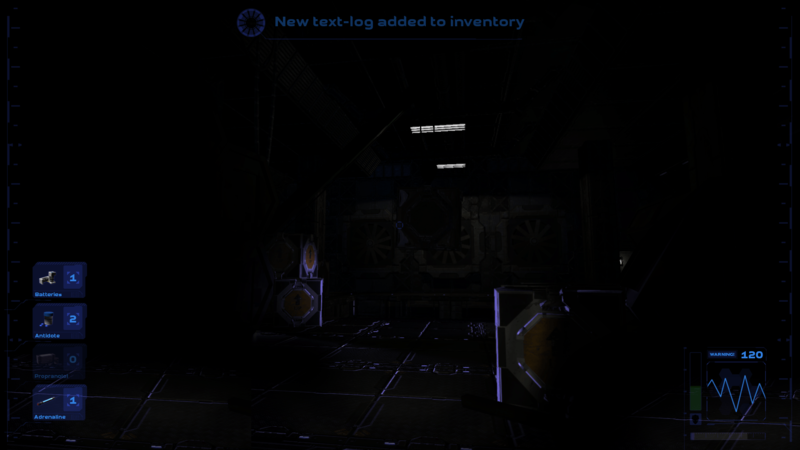 So this is an evolution of our HUD. I hope this post helped some of you look on this subject from the other point of view. Have you ever had similar problems? What’s your opinion on GUI, especially in horror games? We are excited to show you gameplay video of the Phantaruk for the first time! In the video you can see the first moments of the game (without cutscenes). We made it look like a speed-run but it will take you longer to finish the first objective. There are many things that we have to improve but we are slowly getting to the end of the development process.